I’ve been trying to expand into other types of recipes, other than just sweets. 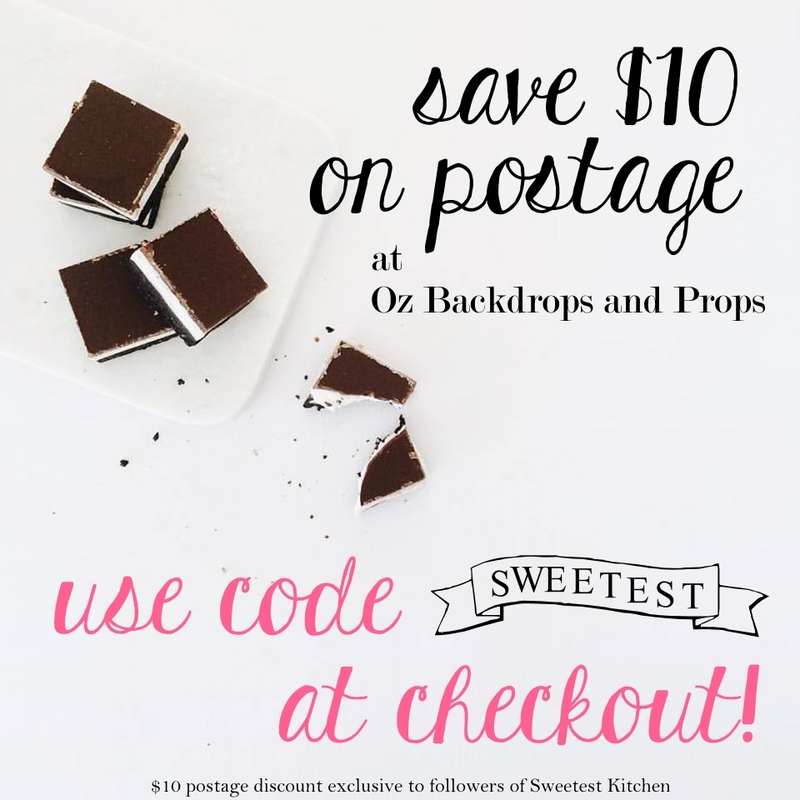 I realize this is The Sweetest Kitchen, but I figure that I should include some tasty savory recipes as well, to counteract the sweetness, just a bit. So I’ve been visiting the library and borrowing some recipe books. One of my latest ones is the The Martha Stewart Living Cookbook: The New Classics . It is a huge book. In The New Classics cookbook is a variety of recipes, some of which you’ll find on Martha’s website, including the one I’m going to show you today. I’ve copied quite a few recipes that I hope to share with you, actually! 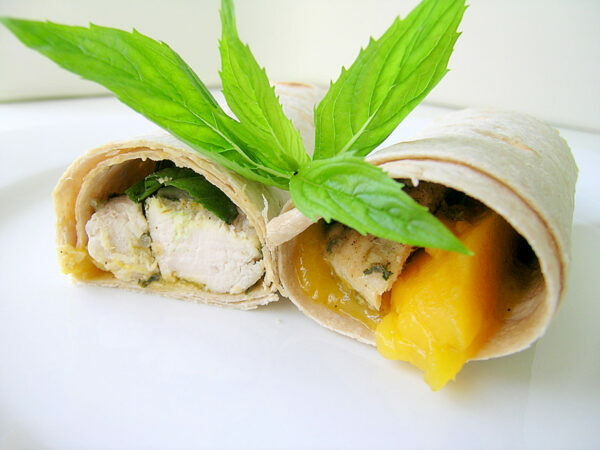 Today’s recipe from The New Classics cookbook is chicken wraps with mango, basil and mint. This one was the first recipe that stood out at me while skimming the book. It sounded very interesting, and on top of that I just love wrap sandwiches! These are quite easy to make, and while doing so you’ll find that these wraps have an intriguing combinations of flavors. The chicken is baked in a rub that includes garlic, shallot, fresh basil, salt, pepper and cinnamon. Yes, that was cinnamon! It works though, this chicken tastes amazing. To accompany the chicken, you’ll be making a mango dressing. This includes mango, of course, but also more shallot, lime juice and cayenne pepper. Assembly is easy. Spread the mango dressing on the bread, layer with chicken, mango slices and a few leaves of basil and mint. Wrap and enjoy! I preferred this cold, but they most definitely can be eaten while warm. Okay, my main problem with these is that there isn’t enough filling. I followed the recipe exactly, but ended up with having to use just two slices of chicken, two slices of mango, and only about a tablespoon of mango dressing per wrap. If I were to make these again, I would definitely be using more, and bigger mangos and more chicken so I could fill the wraps more. Make the chicken: Finely chop garlic and shallot in a food processor. Add basil and oil, and process until mixture forms a coarse paste. Stir in salt and cinnamon, and season with pepper. Make a few shallow ½-inch slits on both sides of chicken; rub all over with the basil mixture. Place on a rimmed baking sheet. Bake chicken until cooked through, 12 to 15 minutes. Let cool completely, then shred into small pieces; set aside. Assemble wraps: Spread about ¼ cup mango dressing in center of each lavash. Top with chicken, mango, and herbs. Roll up diagonally to form a cone. Wraps can be refrigerated, wrapped in parchment and plastic, up to 4 hours.